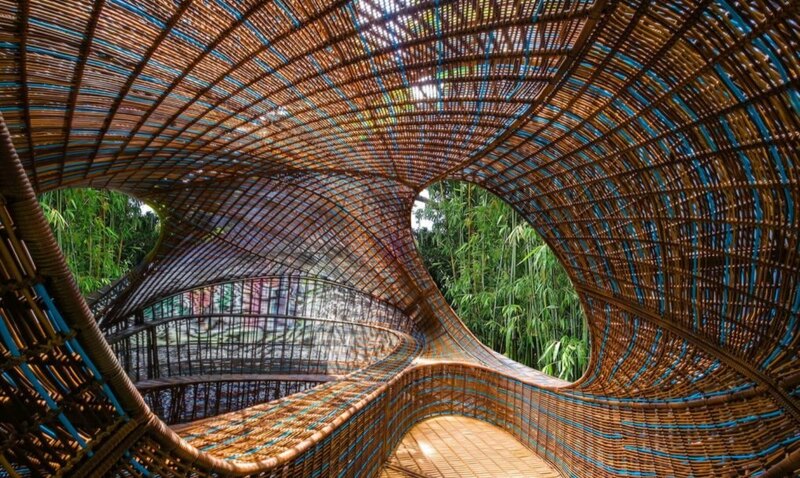 Looking like an oversized bird’s nest, this cozy pavilion is not quite as organic as it seems, its flowing walls made out of strands of 100% recyclable high-density polyethylene (HDPE.) 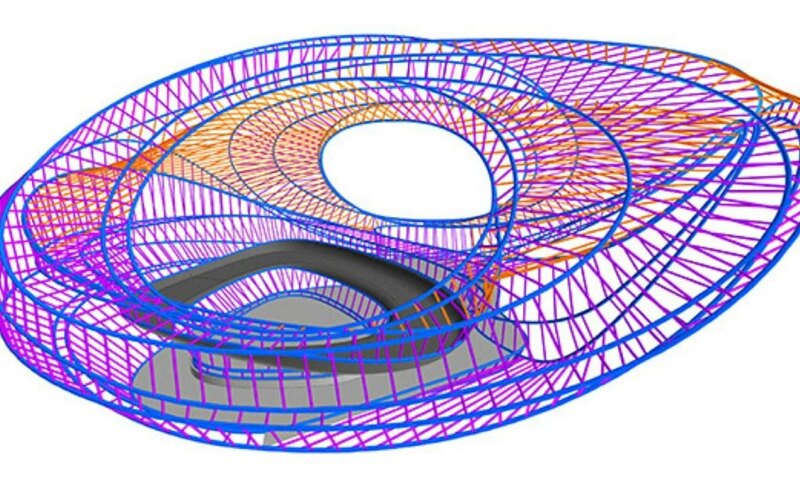 Designed by Dutch architect Ben van Berkel of UNStudio for the pavilion series Revolution Precrafted, the ‘Ellipsicoon’ features a sinuous design created using 3D modeling computer programs, but its strands are hand-woven by traditional craftspeople. 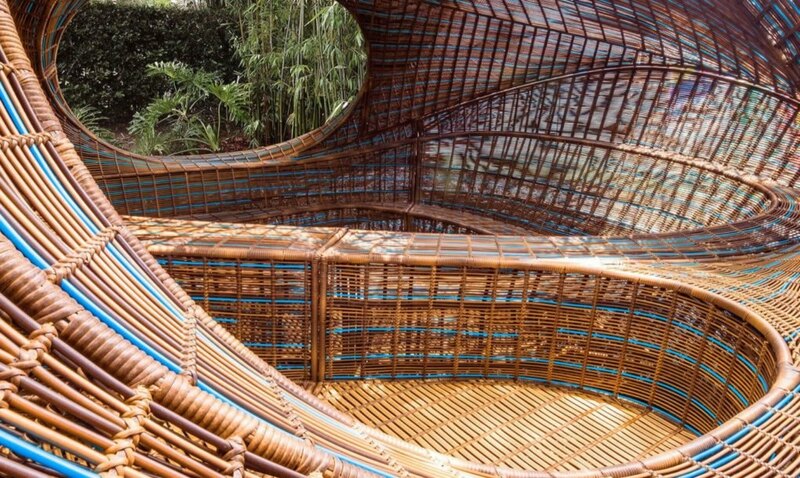 Its alternately raised and sunken surfaces offer places to sit or lounge, while the roof provides shade and openings let in a little sunlight. 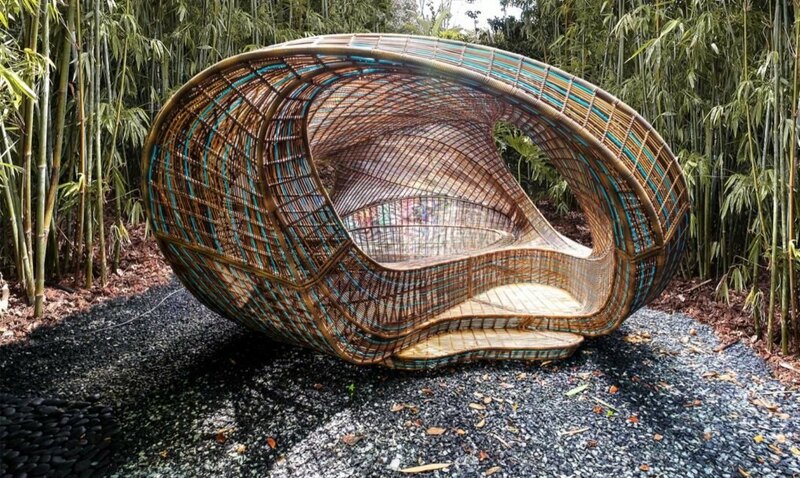 The Revolution Precrafted series of transportable pavilions features designs by some of the world’s most renowned architects, including Zaha Hadid, Daniel Libeskind, Sou Fujimoto and Kengo Kuma. 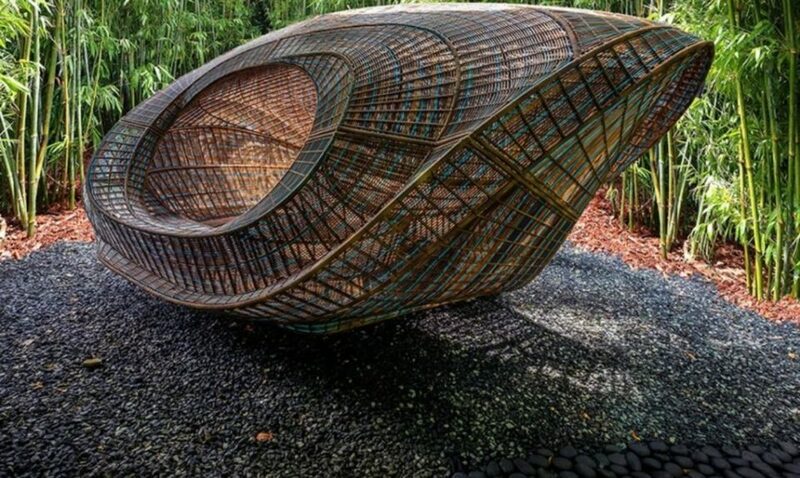 They see the pavilions as a new way of collecting and experiencing art, immersing oneself in intimate designer spaces. The project aims to democratize high design by making it more accessible to the public.